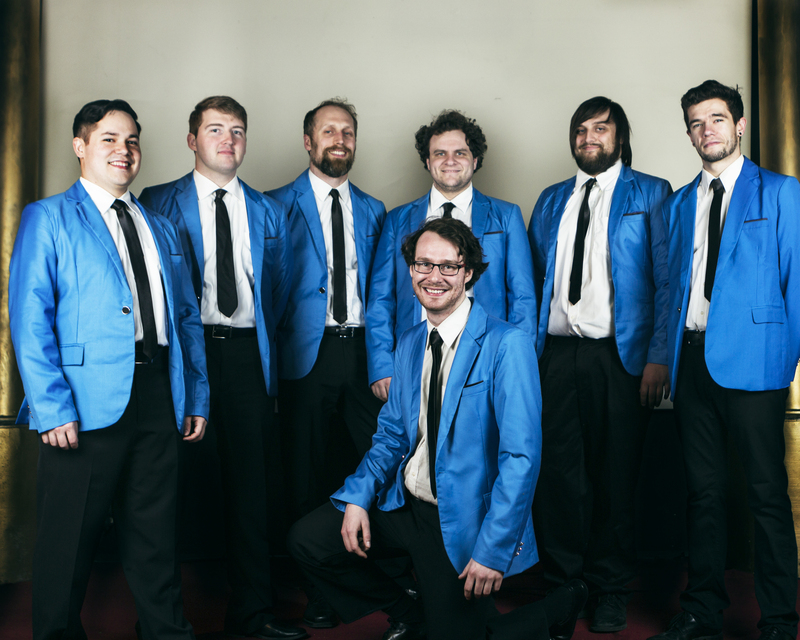 The Chancellors is a 7-piece funk machine fronted by some of Seattle’s best vocalists. Armed with horns and a tight rhythm section, the band performs a wide selection of Funk, R&B, Motown, Soul and Pop, driving the music to keep any dance floor on fire. It all began when South Seattle venue The Royal Room approached band leader Tristan Gianola about putting together a group to host “Columbia City Party Night”, a neighborhood throw down at the end of every month for South Seattle. Players were called, music was made, and The Chancellors quickly got the attention of their audiences for their energetic performances. All fans of lesser-known funk, the members of The Chancellors make a point to include the great songs that don’t get remembered along with the hits everybody loves. Whether it’s Sly Stone, Betty Davis, Michael Jackson, P-Funk, Tina Turner or The Meters, as long as you can break a sweat dancing to it, The Chancellors play it! The rhythm section backing The Chancellors is also the hard-grooving instrumental jazz-funk quartet SpiceRack, and other members of the The Chancellors play in a variety of bands and projects in the Seattle area. This band, committed to raw renditions of the funk greats, is available for any public or private performance and is ready to bring the party with them. You can catch The Chancellors every month at The Royal Room, check their calendar at www.TheRoyalRoomSeattle.com. The next party night is Friday, April 25 at 9:30pm. Mark your calendars!